It’s been a ride so far, on my entrepreneurial journey. I’ve learned a lot of things I need to do to make things go right, as well as a whole slew of things to not do. Today’s story is about the two drop shipping E-Commerce businesses I started under my parent LLC, in which I completely had to fold down and pivot. At this point, I had already built and sold a successful store, one which I poured my energy and time into, and was solely focused on. This was prior to starting these up, and a bit before I sold the first, I was beginning these two in tandem. This was a somewhat crushing experience because I’d been grinding on those projects for at least 4-6 months. In the long run, it’s nothing, but at the time it was frustrating. I realized that the amount of work that was needed to continue, at the necessary pace to grow, I would either have to outsource a ton, or I would need to fold one up. I began two similar drop shipping stores in different niches at the same time. I didn’t have any passion or interest tied to these besides knowing there was a lot of potential to carve out huge niches and make big money if I kept with it. * Side note – most of the time money alone is not a strong enough reason to start a business. One of Mark Cuban’s rules is to never start a business unless you’re positively obsessed. Anyhow, I began these two drop-shipping stores that I knew I could crush the competition over time and carve out spaces where people did not venture to go. For instance, in my first store, an outdoor storage shed niche, all the other sites were extremely cluttered and had way too much going on. The storefronts themselves were outdated and needed much improvement and organization. This would be one point that I could swoop in and make a simple and killer site, with pages optimized for conversions, that would blow the competition away. My second store, a commercial kitchen equipment site, was an enormous industry in which hardly any independent owners were, and the niche was saturated with tons of big-dog competition from industry leaders and full of boring websites and generic, press-button customer service that could have been beaten as well. Another way to beat the big guys was offering the types of machines that the competition would not, from brands that were not online, and I knew my customer service would be far more personalized. On top of this, all the profits would come to me, as I had no employees, and when drop-shipping, the money is transferred from the customer to you before you order the product from your supplier. This meant I could easily re-invest, expand, outsource, and the profit margins had tons of room for employees. The second store had many big-ticket items. We’re talking about $11-45,000 items, and this was also a B2B niche, which is fantastic. Less returns, less price shopping, more committed buyers, and overall less BS than selling to the general public. So I figured once I got these rolling, it would be great times. However, I had no idea that I would practically hit a brick wall, which I would have absolutely zero desire to push through. I’m a very motivated individual and since I didn’t feel any passion or purpose tied to either of these, and I was in a sense chasing mostly the money and opportunities by beginning these online stores. Nothing is inherently wrong with that, yet I choose to pursue ventures that can make a difference to others and matter to me. I even made a few sales with the shed site, but still decided I needed to throw them down and pursue something else far more worthwhile. Start making money with something and it becomes addicting. You don’t want to be addicted to the wrong type of business. I took a course that was extremely helpful in helping me to learn how to drop ship. I contribute much of my success with the endeavor to having the right education, presented in a succinct way. It’s easy to kick yourself and look back at this type of experience as a loss, when in reality, you learned a lot. If you can salvage just one thing, then it was worth the experience. That being said, you can still always be learning a ton from other people’s mistakes. When I look back at my life, I see so much that has tied together for my good. For instance, I’ve always had a background interest in art and would draw on the daily since the age of five. This helped me to decide on a graphic design major and pursue that and marketing in college before I changed paths. I learned the hard skills from my own practice, and networking with freelancers. This in turn helped me design some of my first websites and make them profitable. I would combine my graphic design knowledge and create banners, ads, and other site elements that looked professional since I had the background skill. Don’t take anything for granted, because if you look back, you can actually see the dots connect for your future. However, looking forward and doing this same task actually requires a ton of foresight and visualization. In Thailand, I was influenced by a lot of serious hustlers. I probably took this influence too far and started building these things with too much haste. Looking back, I would have started one at a time. It’s not impossible to manage two at once, but starting two baby businesses and trying to simultaneously grow them is insane. So for you, if you want to learn how to drop ship, plan on learning that for a while. Learn from the many drop ship guides out there. Get really good. Make some money, and learn the other skills involved. Then you can move on to something else, but put 100% focus in first. Even Elon Musk said he’d rather rub glass in his eyes than start the 3 separate billion-dollar enterprises that he did. That’s how hard it is! And it makes it 1000% harder when you’re not invested in the type of product or service with an interest. If money is the main reward, it’s almost never enough to keep you going through the hardest points. I would be up at 10p.m. and cold-calling hundreds of suppliers and getting approved for wholesaling accounts until 5-6 a.m. I would be pouring hours into the site design, the fundamentals, uploading products, writing unique descriptions, optimizing for SEO, running different ads, creating and outsourcing content, and tinkering with code trying to get my sites perfect. Even logging into two separate e-mail accounts, as minuscule as that sounds, became a hassle as customers and companies seemed to run together in my mind. Moral of the story: it takes an immense amount of focus and determination to make ONE thing work. I learned this from my first drop shipping store that was successful. In my eyes, there’s no failure if you don’t quit. That said, you’ll have a lot of setbacks. Setbacks teach you a lot and can help set you up better in the future. This is why I say that if you can salvage something from the whole experience before moving on, you’ll learn what you should avoid next time, and how you can execute better. For instance, this whole experience helped me create my S.O.P. for building a new E-commerce store in a day, and I’ve got it boiled down to 5 steps that take about 4 hours or less. Because I’m sticking with E-commerce as a whole, it already has proven beneficial moving forward from this point, because any Shopify store I need built I can do very quickly, including WordPress sites if I need to for extra content or PBNs. No matter if I’m drop shipping, importing, or selling my own products, I built the skill of creating websites. I don’t see this as a waste of time, because I learned a lot, gained cold-calling experience, learned how to better serve customers and talk to suppliers, copywriting, and other important hard skills. Soft skills are fantastic and necessary, but they must be coupled with hard skills. When you’re truly into something, as in addicted positively, you’ll have less problems pushing through any weak or hard spots. You will stride through the darkest times because you’re pulled by a grandiose vision. It’s much, much harder to do this if you’re only after money. If all you can see is the monetary reward of doing something, it doesn’t mean much to you. Money is abundant and easy to get; it’s everywhere, but don’t waste your finite time chasing it. Instead, create things of value for people that will solve their problems. You can actively figure out and improve upon what you’re really good at and love to do, and then find a way to fill wants and needs in that direction. There are always needs and problems that are not being efficiently served, and if you can figure what they are and fill them, you’ll be monetarily rewarded and you’re working on things you love, or are in the market for. Compete with the other people in the market to gain market share, but keep your mind on dominating. Dominate your own actions, your past self and surmount the difficulties by offering better products/services. When you’re entering into specific business models, drop shipping, private labeling, info products or otherwise, you’ve got to deeply analyze them. Applying this when drop shipping, affiliate marketing, product creating, renting, leasing, real estate, is super important. They each have their ups and downs. That said, let’s start with our first analysis of S.P.E.E.D. There are people who make great money in affiliate marketing, great money buying advertising, great money drop-shipping someone’s product, great money wholesaling products from another company. But what those businesses have in common is that someone else oversees them all – someone making fantastic money. The one who oversees the operations and cashes out way bigger than you, does so because they’re the original creator. You’re doing their legwork while increasing their bottom line by a massive margin, and yours by a small margin. Would you rather make great money or fantastic money? Would you rather not limit yourself to an upper ceiling on your potential earnings. When someone else is making 80-90% off of your sales, and you’re just making the measly 10-20%, like in drop shipping, you have to move massive volume. When you’re selling affiliate products and making 15-50%, someone still owns the product, and decides your cut. You’re reliant on them, and they’re making fantastic money. Even if they give you a cut of 70%+, you’re still driving more attention to their brand. This helps build their sales funnel, as many vendors will break even on the tripwire, or front-end products, so they can make more money in the back end. 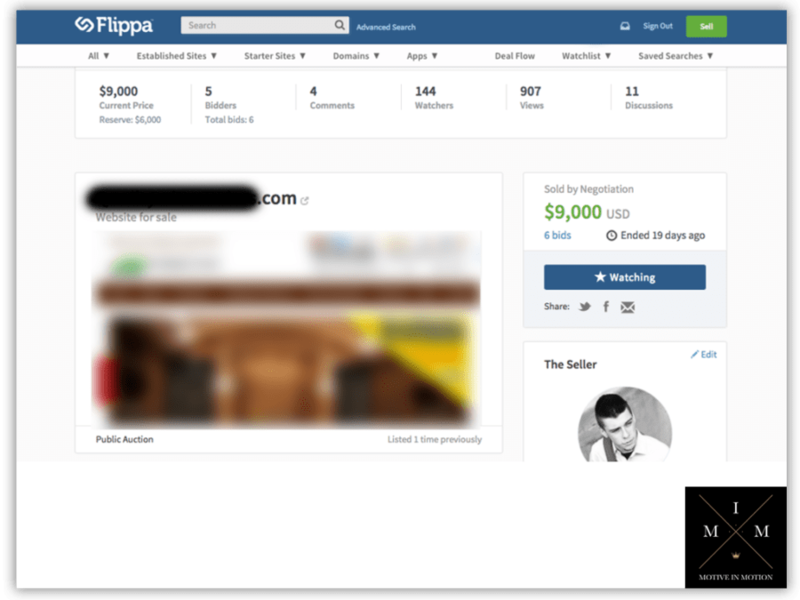 Buy ads or leverage affiliates to break even on the front-end; funnel leads to your back-end. Remember: you’re always building a brand. Make sure it’s yours if you want ultimate long-term sustainability. These owners control your income, what you get paid, and when/how the product can be displayed. They’re the creators, so legally they can choose what you can and can’t do, and your income relies on them. If that’s you’re only source, then you’re taking a risk. Some of this is unavoidable, as you’ll likely rely to some degree on massive brands like Google or Facebook to build the buzz and community around your company. This makes sense, but if you are still above that, and make your own media and distribution, you decrease the amount of power you shift to others and their brand. By all means share the value and profits if you want, but know what you’re doing, and have a strategy. Some of the absolute best business models are the models in which you don’t have to constantly be there, producing. So many entrepreneurs fool themselves and actually creating a new job for themselves outside of the one they “are free from”. Quitting a job and making a new one that you run is not freedom. Making money while you sleep or go to the park is. If you cannot detach your energy, primarily by front-loading your efforts, you cannot be free, because you can never step off of that hamster wheel. Front-loading is creating a product, service, course, book, video series, collaboration, subscription, membership, content, shirt, hat, something, and then stepping back after you hit the tipping point to watch it sell. You’ve done the creation and the marketing, and now it’s time to sit back and watch your sales come in. You can continue to monitor, but the only reason you would need to work much more is to grow it to the next level. This is putting most of the energy for the sale up front, and being able to step back and watch your system run successfully. Can you actually make this a seven, eight or nine figure business? Would you have to move massive volume to see serious profit? Or is it something like an art business in which you must be the only creator in the company and cannot duplicate yourself? If you can’t replicate by teaching people to do stuff about 80% as good as you, then you’re toast. You’re stuck in a small position because it forces you to be the only one doing the work or it can’t grow. Figure out if this describes you, and see if there are ways you can duplicate yourself. Are you only focusing on a small corner of the whole pot? If your mind is focused on the small common denominator of just one city or state, you’re not thinking large enough. Your potential has a cap. If you cannot duplicate yourself, you’re thinking too small. Look up at the bigger picture and plan ahead according to the entire world! Does what you’re selling actually have demand? Supply and demand is one of the most basic business concepts, yet so many would-be entrepreneurs overlook this concept when searching for things to sell. You’ve got to make sure people want what you’re selling. Sometimes people who use drop shipping niche themselves into such a small corner that it’s hard to make sales! I made the mistake too on one store, by only selling sheds. I could add hoes, rakes, porch paint, umbrellas, deck lanterns, and still be in the outdoor home niche. I would increase my reach, my potential for growth, my traffic, and my sales. If they don’t want the product, you don’t make sales. The market is always right with this one, and they vote for your company or product by submitting their dollars. Ultimately I learned a ton from this experience and it was a necessary stepping-stone to the next point in my evolution as an entrepreneur. These are valuable lessons that anyone can take from. It’s important to learn from others’ mistakes, so I want you to glean anything you can from what I’ve gone through. If your focus includes each of these elements, and puts them into action, you’ll be on a more prosperous path. Your potential for earnings and reach will be amplified because you’re following proven guidelines. These guidelines will help you tap the full benefit of spending time building something worthwhile! It’s an awful feeling to spend so much time building the castle only to find out it was in the wrong country. I want you to utilize the lessons so you can choose the best place to build the right type of castle. Stay consistent, but don’t be foolish. Instead of heading to the nearest forest and swinging your ax all day at the first tree you see, step back and sharpen that thing! Dial in your focus so you can progress on the most important things. The focused win. The excited and foolhardy fail. Knowing about my failures and successes in E-commerce can be helpful, but without application to your own path, it will never do anything for you. 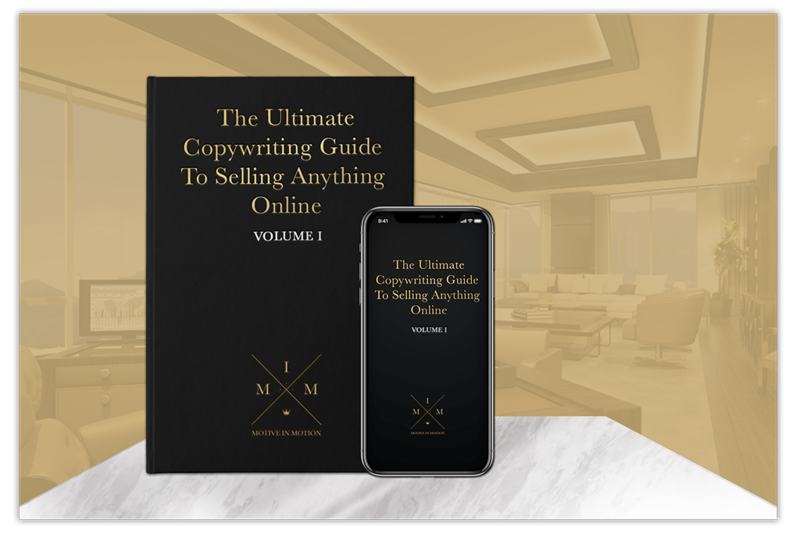 I’ve created a way for you to navigate some of my blunders in a new book on Direct Response Copywriting, that I really wish I had when I was starting out in E-com. On top of that, there are some powerful bonuses for you, if you’re using this book to double profits in your own store. These bonuses only come along with the first few people to grab this introductory book version. 6 Replies to "Drop Shipping Wins & Fails: My Lessons Selling One & Scrapping Two E-Commerce Businesses"
I just love your drive. I can tell you are very passionate about what you are doing. In your experiences do you think dropshipping is a good low entry business to actually make good money in. Just making aure that you are sellling something you are passionate about?. Thank you – I do believe drop-shipping is still a viable option with low capital! I would not focus as much on the passion angle, at least while starting out, however I would enter a new market looking for ways to combine value-adding angles. Once you get really familiar, you could start looking into things you really love, because it does make a difference if you know how to differentiate. For instance, if your website is much easier to navigate, your customer service is on point, your images/tutorials/videos about products are superior, you will blow many competitors out of the water. Money comes from adding value and filling the needs people have, so if you can do that, many business models are viable. Do you think it’s better to start in high ticket price items like the kitchen niche you mentioned above, or something a bit more modest to learn the ropes. I would assume something more modest, but with the low barrier to entry, I guess I could see going for big ticket items right away too. Interested in your take! You know, it all depends on what your goals are, and how hard you want to hustle. Something I always learned was that you will do the same amount of work building a drop-shipping business with high or low ticket items, so you might as well work the same amount and sell the higher priced items. 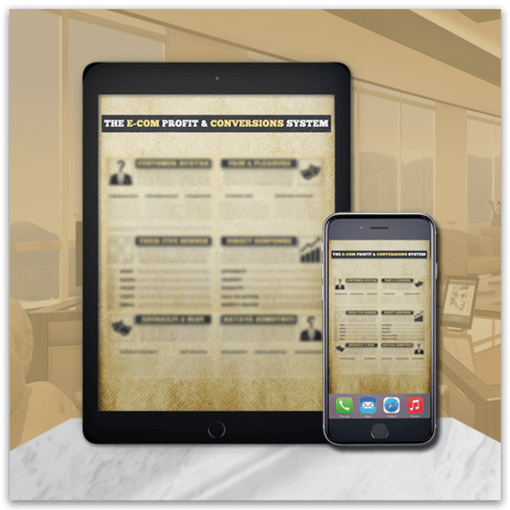 This allows you to work just the same amount making the sale as you would for the smaller items, yet it pays off in the higher profits, which really helps in this business. Since you’re making rather small margins, you will need the highest leverage you can get to build and scale! A hidden bonus is this lets you think outside the box, where many would be “competitors” will not go. If you can create a unique value spin on it, there’s lots of potential to create a barrier to entry; thus keeping the moat built around your business. I really like some of the points you have mentioned in your article about drop shipping. When you say in the wrong country – do you mean picking a niche that may take off in a much larger country compared to a smaller one and if you were in a smaller country to go for something that is relevant to your situation/size/market etc? – or for example surf boards, you would pick a country with the appropriate climate and demand etc instead of just seeing what happens in whatever country you have chosen. Very interesting to see your experience with starting multiple stores at the same time..
What are your thoughts on starting a DS store in a smaller country like New Zealand (specific to NZ market) then creating a store in the US (specific to US market) after 5 months working on the NZ store..? I am hoping to educate myself in that time frame about entering the US market after experience with my first drop shipping store in NZ. But I obviously want to do the right thing as I am treating this whole experience like a real physical business. Actually the castle and country bit was strictly a metaphor. I have seen many of my friends make massive successes in different countries with their stores though! I originally learned from a course that taught me what I needed to know for the U.S. However, many of my international friends have leveraged the principles for their home countries (no the U.S.) and made money while they traveled around as I do. If you make your store in NZ first, it’ll be familiar to you, and you’ll likely have to jump over a unique set of hurdles. This will give you the confidence and experience to start one in the U.S. if you’re keen, but if not, you can still make your home country store work if you apply the right actions.